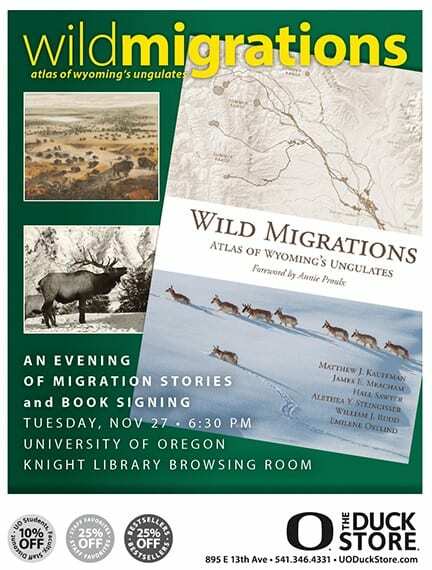 Tuesday, November 27th, at 6:30 pm in the Knight Library Browsing Room the authors, cartographers, and biologists who developed the Atlas of Wildlife Migrations will be sharing several stories of Yellowstone and Wyoming Big Game Migrations. 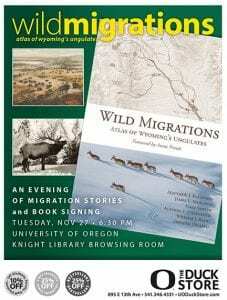 Please come celebrate the release of this beautiful book, created in our very own InfoGraphics Lab. We hope you can attend. Please share widely to help this celebration!.